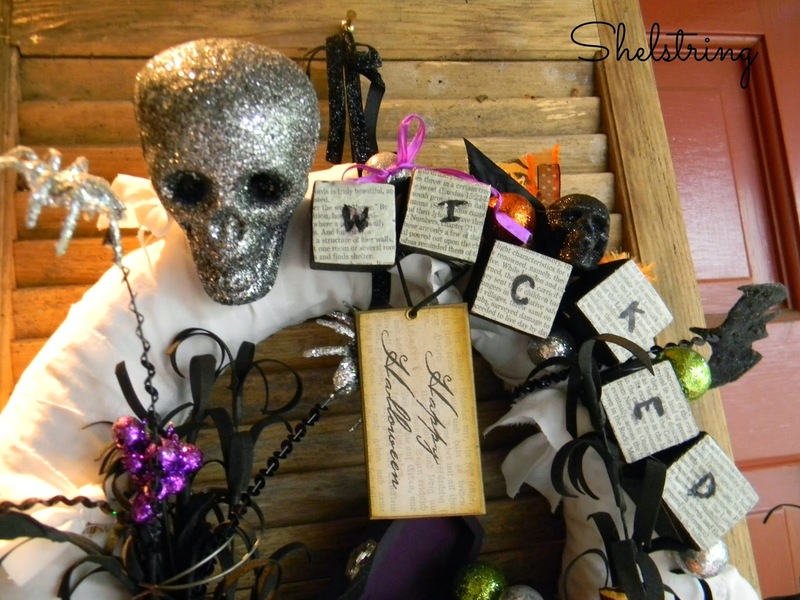 I had a few leftover things from the Glitzy Skeleton wreath I made and found my wicked blocks among my decoration. 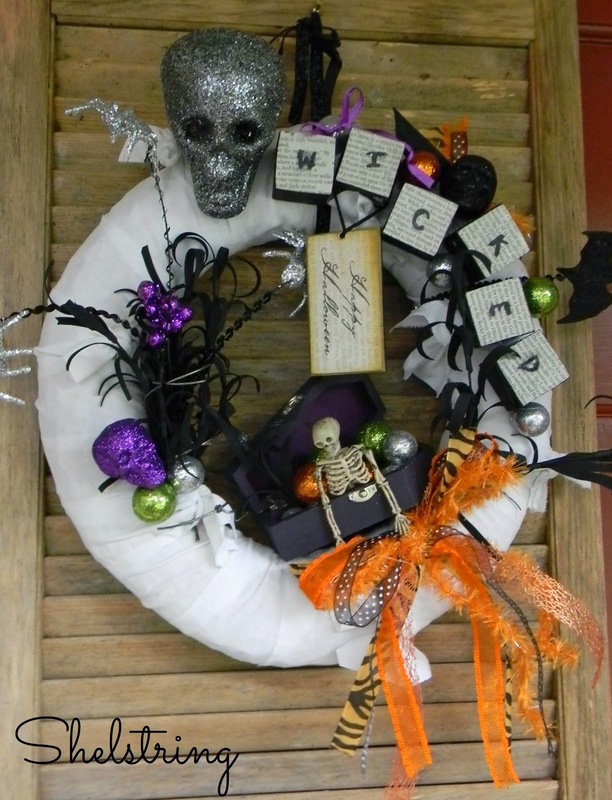 The Front door needed a fun updated wreath, so I gathered a few things I had on hand from previous Halloweens together and enjoyed playing as I went. 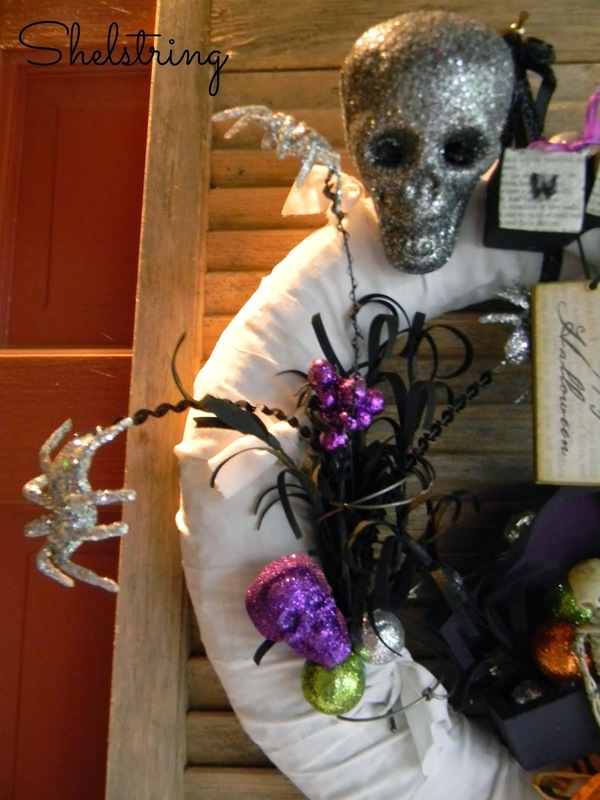 The skull is from the dollar store and actually lights up...eew, spooky! 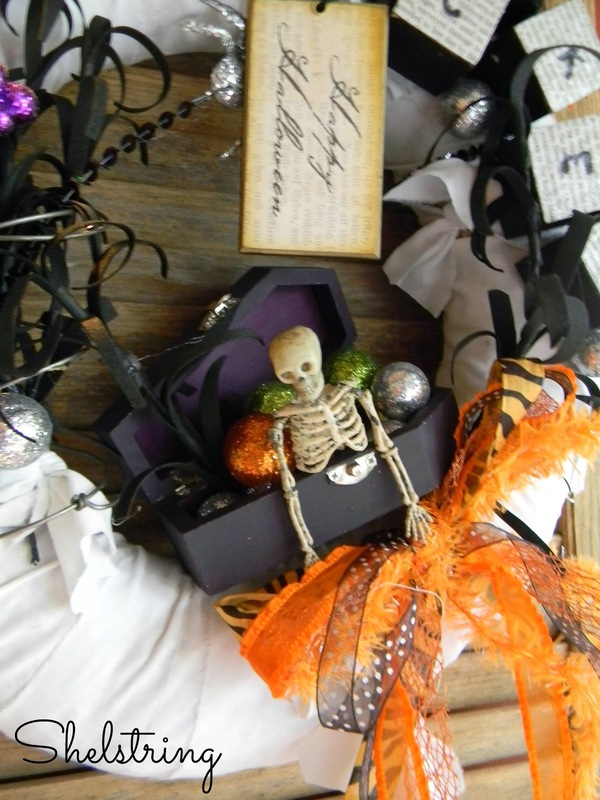 The "Happy Halloween" sign was from one of my favorite boutiques. 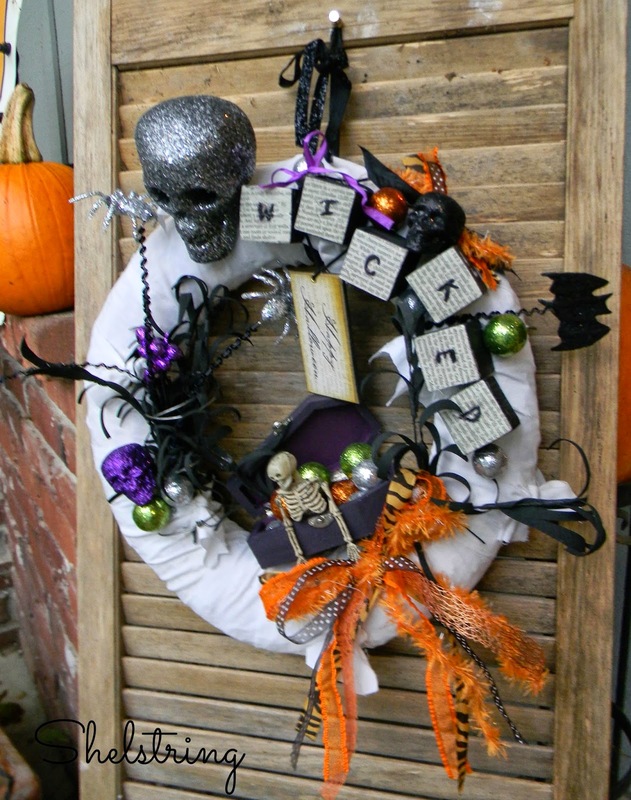 I think wreaths are one of the funnest things to create.